Wish Knot ribbons are good luck charms. They come from a Brazilian legends, but with a modern twist. 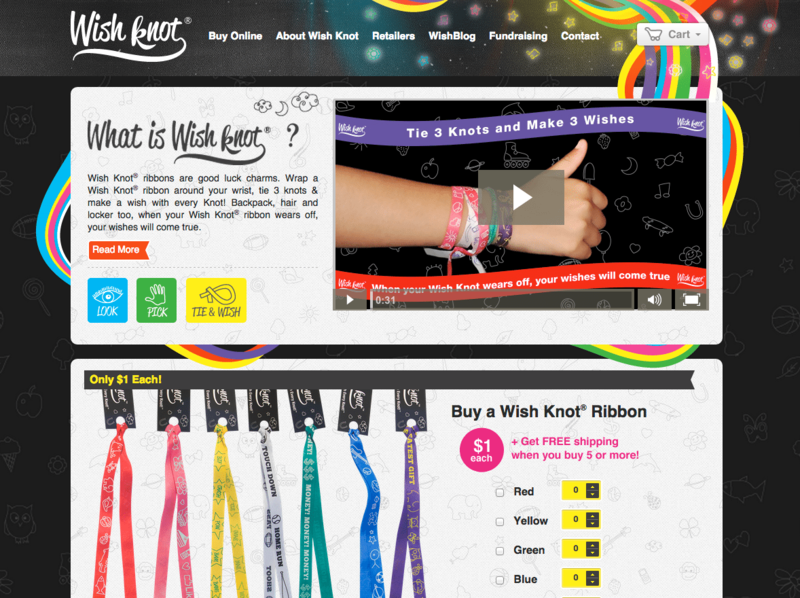 Targeted to children and teens, the Wish Knot brand is colorful, fun, spunky, loud and exudes life and energy. 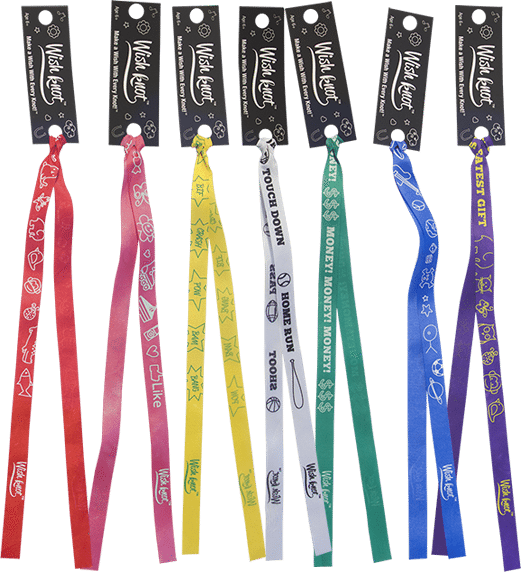 We have designed the illustrations on each charm, the retail tags and display box, as well as a beautiful tradeshow display and countless other marketing materials. 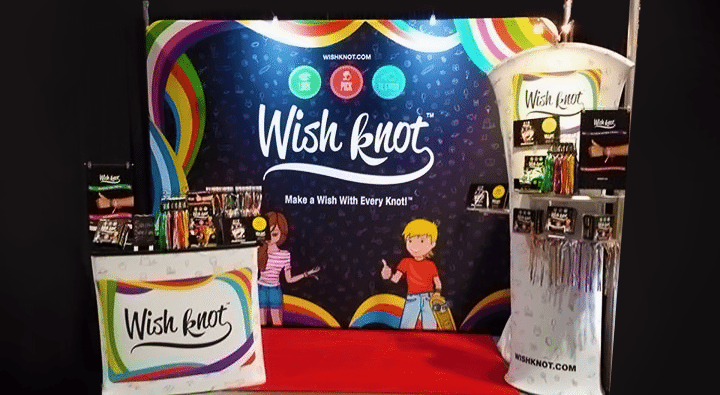 The Wish Knot logo may look simple, but it playfully explains what the company does – with a ribbon and a bow made by the letter K. The logo is strong enough to stand out in the “loud” context of its application, weather small enough to fit on a retail tag, or large enough for a backsplash display. The many symbols adorning the Wish Knot ribbons were first hand drawn, after which we vectorized them and gave them a unified look, combining them together to create ribbons with different messages and symbolism. 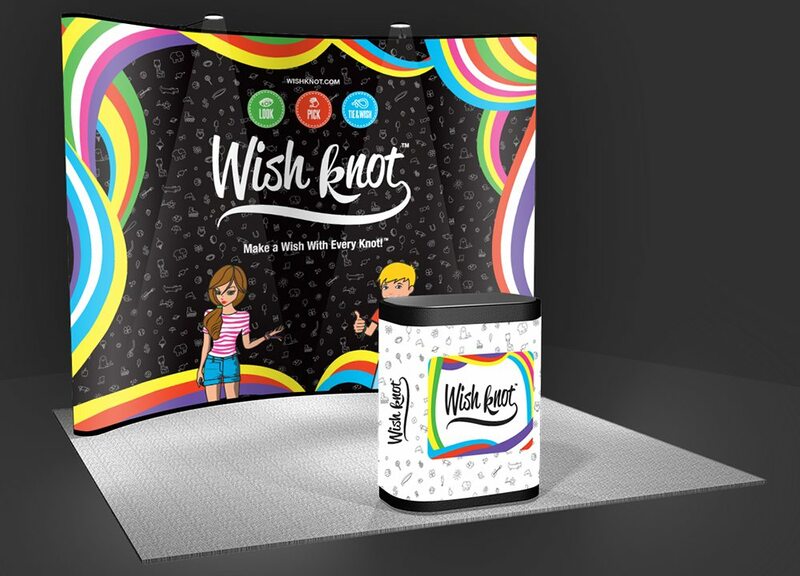 Everything comes together in this custom designed tradeshow booth display, which including curved backdrop display, custom stand, and side display with shelving for products, all branded with the company’s logo and signature style. There’s no mistaking who this brand speaks to, and the consistent look throughout all media makes it memorable and easy to recognize. We also created a small WordPress website where customers can shop online, learn about the history of the wishing ribbons, or see the latest celebrities sporting the Wish Knot ribbons at various red carpet events.